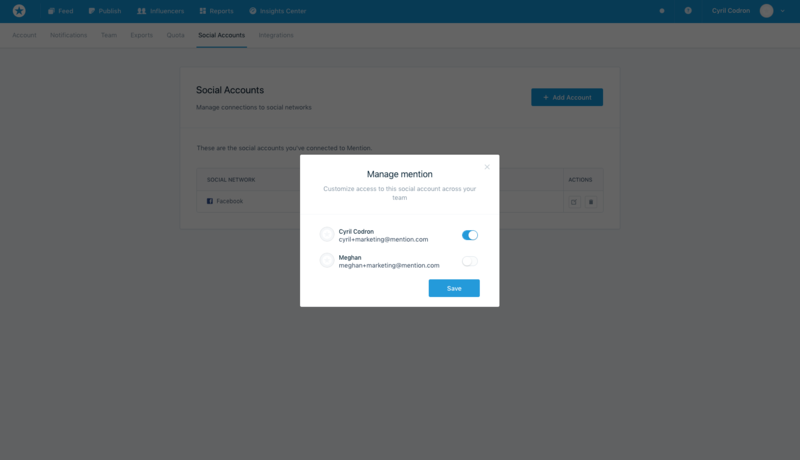 Read this article to learn how to add a Social Account to Mention. Once you've added a social account to Mention, it is added to your Mention account. Only you will be able to use it until you share it to your team mates. If you want, you can share your social account with your colleagues or customers. They'll have access to the social profiles of your choice, allowing them to interact to the mentions or schedule posts with those. 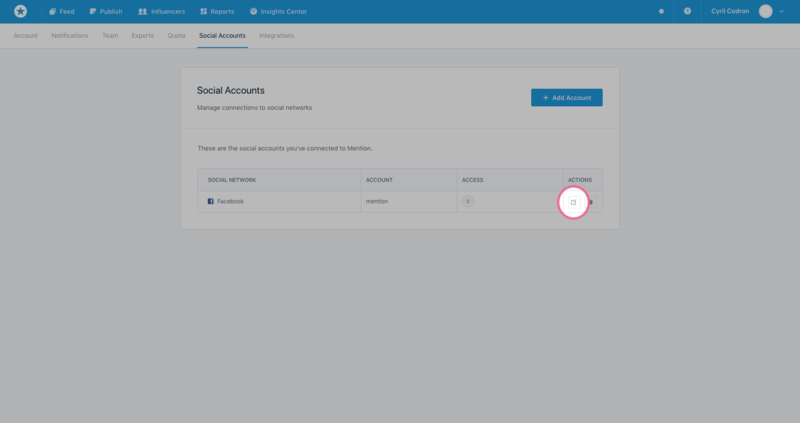 As above, you need to access to your social accounts list. Click on the small edit button of the social account you want to restrict. Untick the people you want to stop give access to, and click on "Save".